With the release of the P30 and P30 Pro, the Mate 20 series is now the second-latest generation of Huawei flagships. However, it appears the OEM is still maintaining an update schedule for these devices. It has announced a new beta program for EMUI 9.1 (based on Android 9) for these phones. Huawei's launch for the P30 and P30 Pro may have made the Mate 20 series seem a little obsolete. On the other hand, these devices still have a triple camera system, 4K screens (in some cases) and the Kirin 980 processor. On that note, Huawei's Chinese division has demonstrated a commitment to keeping these phones relevant with a planned update to the latest version of the OEM's Android skin for these phones. This is being done through a beta program, in which those who own the Mate 20 or its variants can sign up to test the initial versions of this new OS. It is called EMUI 9.1, and is also found on the newer P30 series. The beta program is open to those with either the Mate 20, Mate 20 Pro, Mate 20 X or Mate 20 RS (the "Porsche Design" variant). 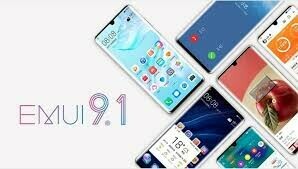 This program is a good indication that a stable version of EMUI 9.1 will roll out to users with the same phones worldwide in the future. Huawei has advised that Chinese users who want to contribute to its first round of beta-testing should ensure that their eligible devices are on the latest stable version (EMUI 9.0.1.109) and are unrooted prior to installing this update, which is 6GB in size.